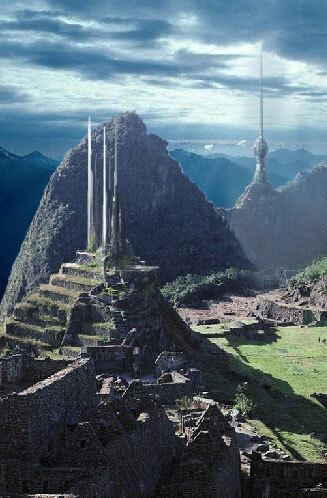 In this tutorial I will show you the essentials o matte painting. But first I want you to know exactly what a matte is. 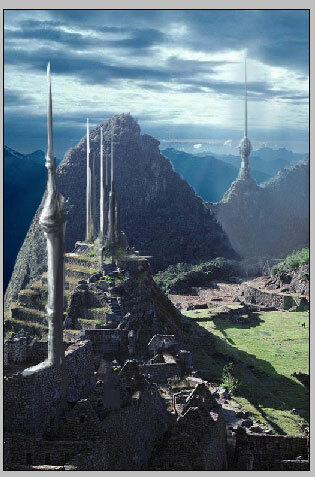 Matte paintings are used to create virtual sets and digital back lots. They can be used to create entire sets, or to extend portions of an existing set. 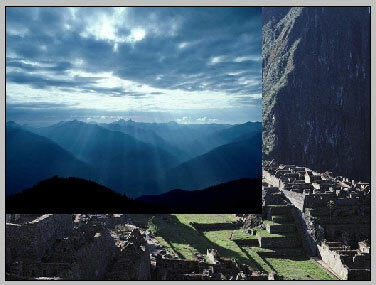 Traditional matte painting is done optically by painting on top of a piece of glass to be composited with the original footage. This trick is nearly as old as film itself. The first matte painting was made in 1907 by Norman A. Dawn, who painted for the movie Missions of California. 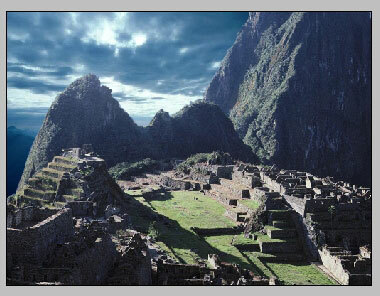 Originally, matte paintings were painted on glass plates, also known as glass hot. Two plates of glass were set up parallel to each other at a certain distance. The camera was set up in front of them. On the rear plate, there was a background landscape which was relatively rough, for example a painted jungle. On the foreground plate, detail-rich elements are painted, such as small plants, stones, etc. Between the glass plates, one could then film a model live or in stop-motion. 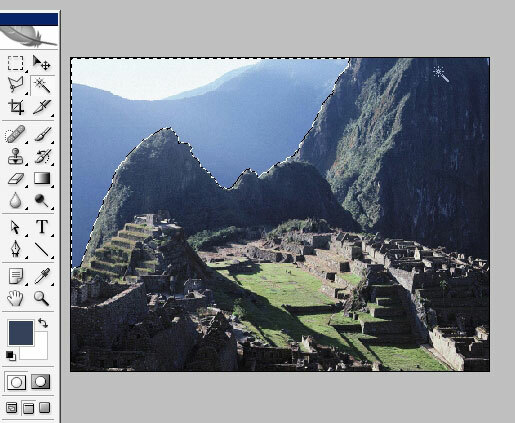 Nowadays, matte painting is done in computers with the use of a tablet as a drawing device. 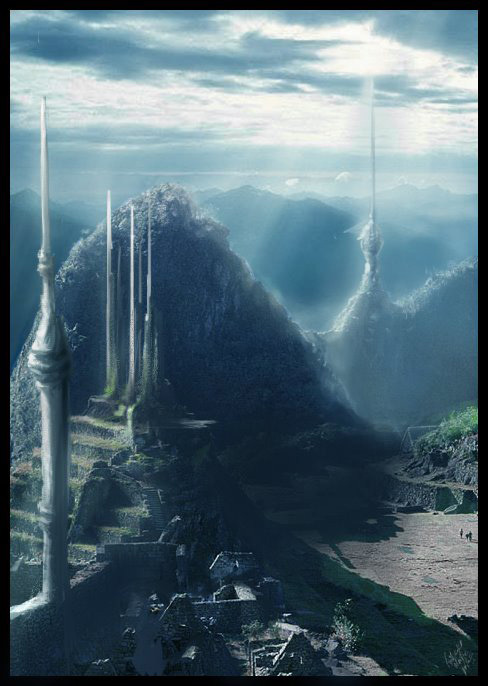 In a digital environment, matte paintings can also be done in a 3-D environment, allowing for 3-D camera movements. 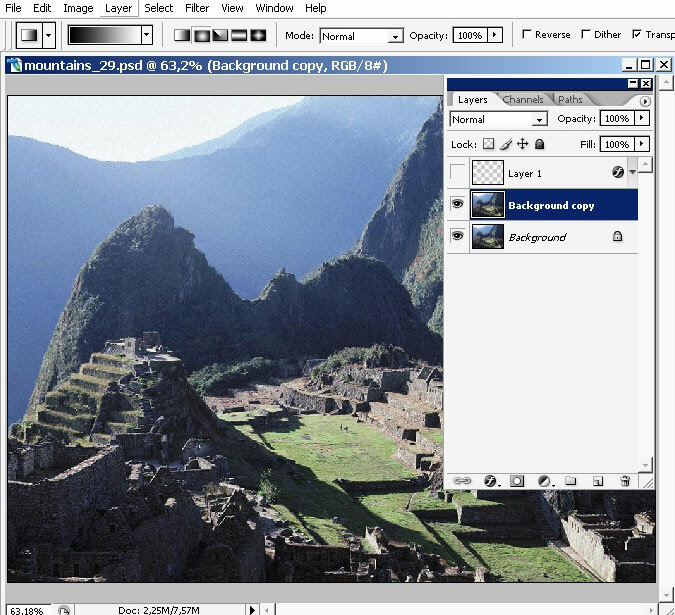 The first film to use a digital matte painting was Die Hard 2: Die Harder. It was used during the last scene, which took place on an airport runway. In hour days, when we have such power tool as tablet, Photoshop or painter and high quality shots we can create amazingly beautiful shots with just awesome color ranges. So let’s try it instead of talking. This is the photo I’ve chosen as a base of my shot. The first thing you just have to make is to draw perspective lines. Believe me that this is one of the major keys for successful look of your shot. So here is my first point perspective guide line. We are ready to start now. I think that this king of painting does not offer a lot of mistakes to be made so create a copy of the picture. 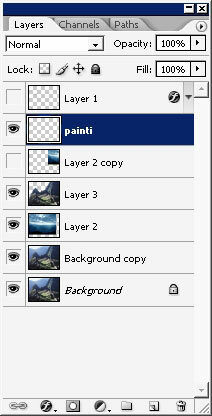 Create another black layer for you will find in several seconds. Enter quick mask. 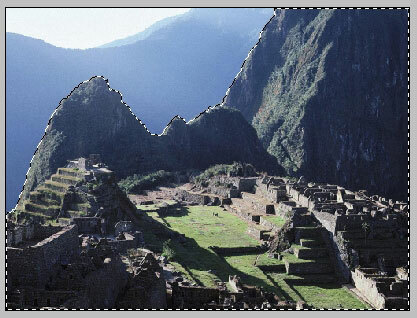 Tap Q, and begin to mask the area with the mountain (picture foreground). First it is better to stay zoomed out. Zoom in to handle all the small details. 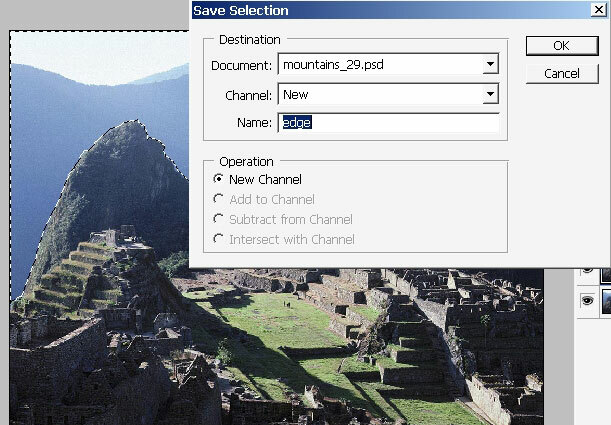 When you are done with masking save your selection. I always save complex selections. Inverse the selection; oh and by the way the whole background could have been selected with a mere wind tool, but I prefer quick masks. 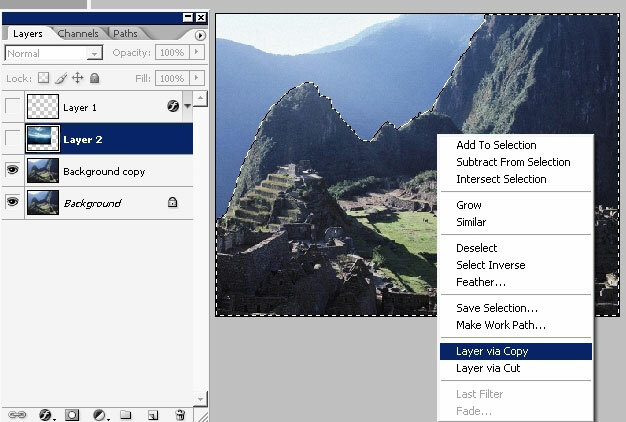 Copy the Foreground (the area within the selection) to a new separate layer. 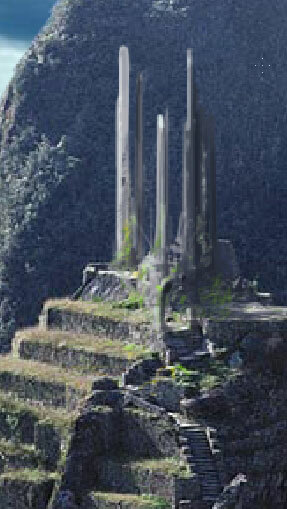 So when we’ve spited our image into foreground and background we can apply some effects and use some additional photos. So I have a photo with a beautiful sky with light coming from the clouds. I’m going to use this photo as my background element. 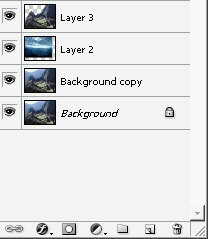 Here I have my photo already in Photoshop on a new separate layer. 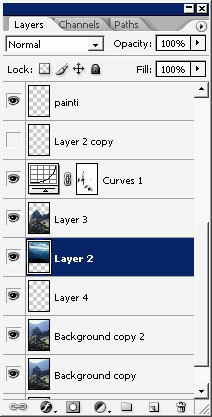 The thing you got to do is to order the layers. Note: our current layer order. So now we have a completely different background. 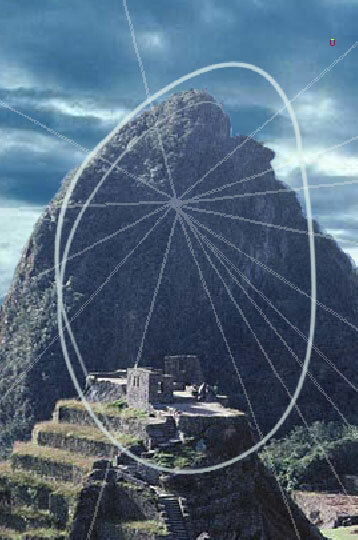 I think it is time to do some architecture. My advice here is to do lines as straight as possible and to pick color directly from the image, but first create a new layer to paint on. 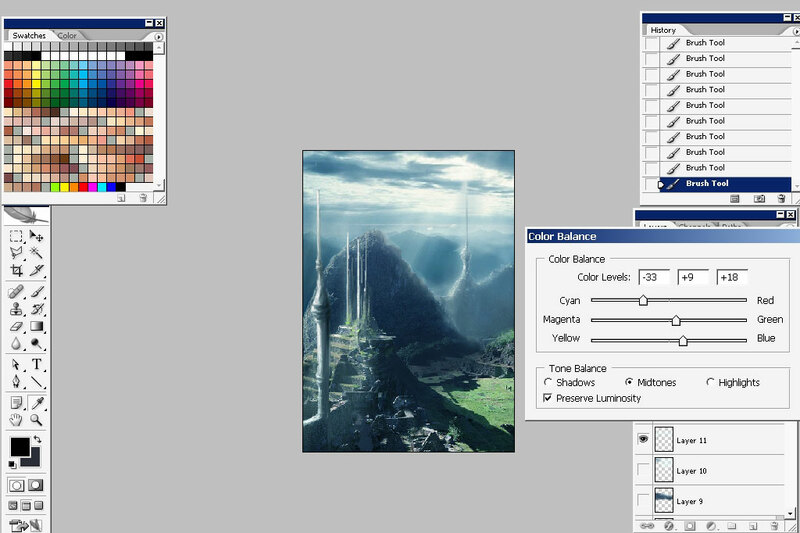 I will start from background and paint something like a little architectural place. 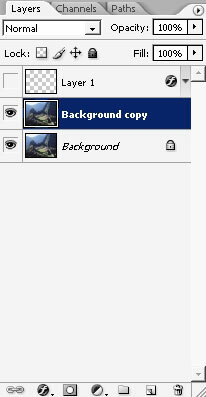 Remember to pick the colors directly from the image, in this case from Background Mountain. 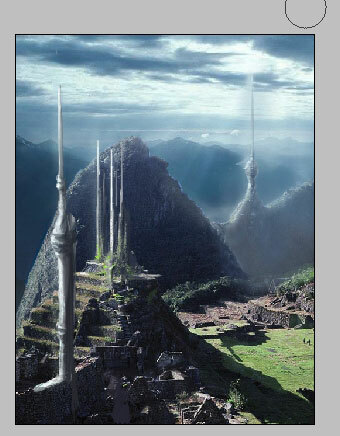 Now let’s paint something over here: this is a foreground element so take care of some details. words Value: is the degree of Importance. In the HSV and Munsell color models, a color with a low value is nearly black, while one with a high value is the pure color. undergoes a dramatic change in perceived color. white to the color. However, this also reduces saturation. 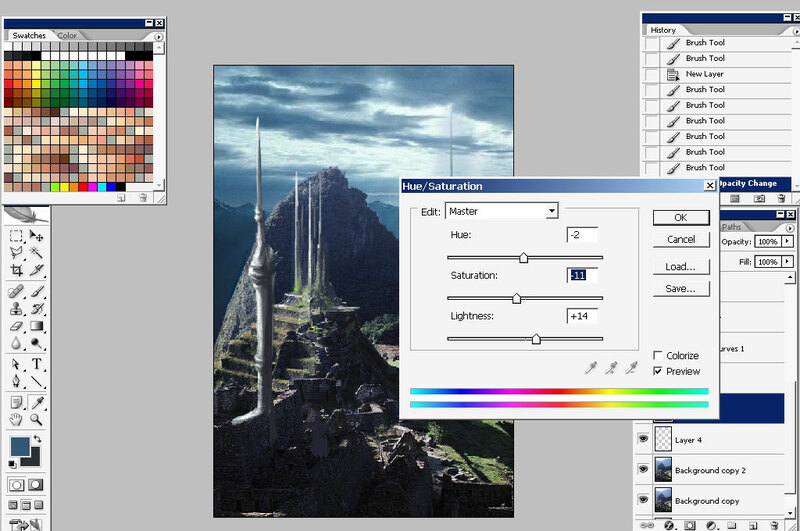 So, to knock out my background architectural place along with the mountain I will use soft brush with light blue color. 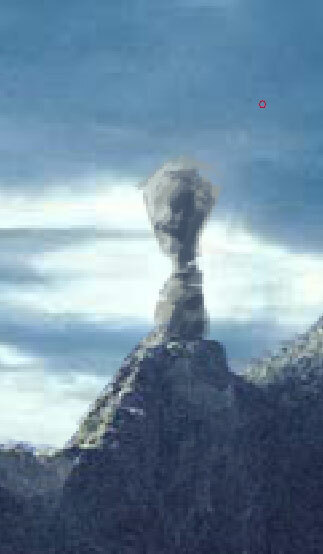 I’ve also decided to put t a very strong element to my foreground. The final steps: color adjustments and layer merging. First merge all the Photo layers. 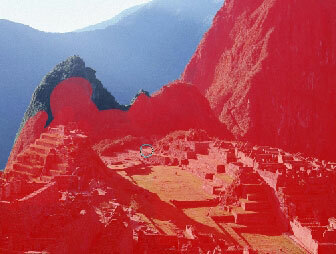 Adjust the color first with Hue/saturation adjustment. Erase the areas in the sky with soft low flow brush. 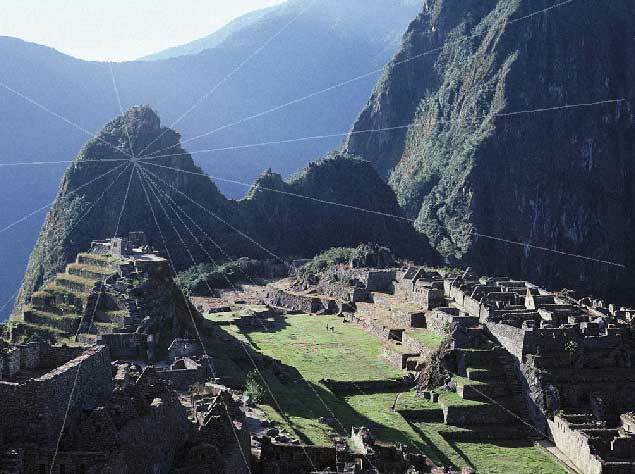 This way we will get something like ascended sun rays coming from the sky. you’ve learned at least some methods and tricks. Hope to see you soon. !